You should not leave Spain without having a paella, or two, or even three. It’s like not trying NY pizza or London fish and chips. 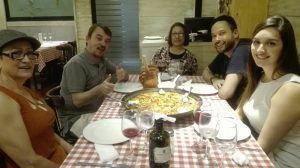 During our Madrid tapas tour, we not only offer some of the best Spanish tapas Madrid has to offer, but we finish our Madrid tapas tour sitting down eating the best Madrid paella, or as we like to call it, a Castilian paella. Every region of Spain has its unique way of making their paellas, the secret to the best Madrid paella is the abundance of ingredients from land air and sea, as locals like to call it. To be honest, the rest of Spain kind of looks down at our Madrid paellas, until they try one of course, with its abundance of ingredients like chicken, pork, clams, mussels, shrimp, calamari, green and red pepper, fresh tomatoes, the list can go on, depending on the Madrid paella restaurant. But before we explain what the best Madrid paella is, let’s have a look at the history of the paella and a modern David Beckham urban legend the day he had with his first paella in Madrid. Paella comes from the word pan in traditional Valencia and Catalan language. 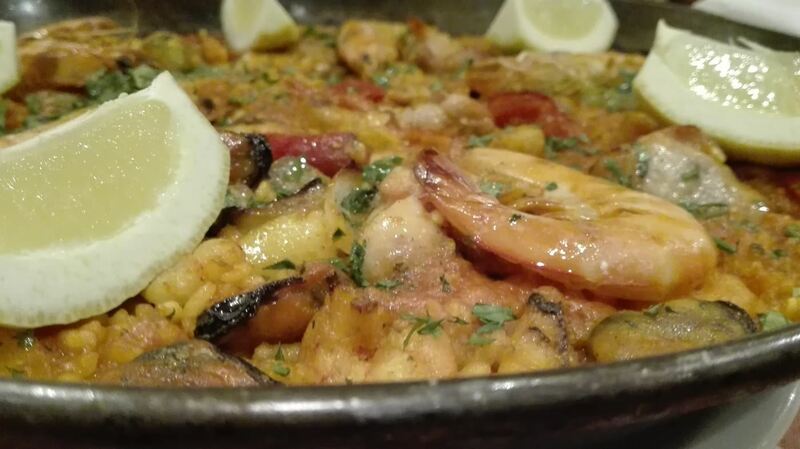 The origins of Paella dates back to the XV and XVI centuries in the eastern coastal region of Valencia, Spain. It was a basic farmer’s recipe easy to prepare with the ingredients that the land gave them. They always ate the paella after a long day’s work in the fields. The original ingredients of a paella were very basic, with rabbit, chicken, fresh veggies, rice, saffron and olive oil. Today paella has evolved and many regions in Spain have seafood, shell fish, meat, it’s up to the imagination really. David Beckham played in Real Madrid football club. The owner of the club invited him and his wife for one of the best Madrid paellas at the Albufera restaurant, the restaurant boasts that it brings water all the way from Valencia. When the paella was served on the table, David asked for ketchup, the president almost fainted; they did not have any ketchup, so the waiter ran as fast as his little legs could carry him to a supermarket for ketchup. Join us on one of our Madrid tapas tours for some of the best Spanish tapas in Madrid.